T cells play a critical role in the adaptive immune response. In naive T cells, binding of the T cell receptor (TCR) to peptides complexed with major histocompatibility complex (MHC) triggers an intricate signaling mechanism leading to T cell activation, proliferation and production of cytokines. Modulating the TCR signaling pathway using biologics, small molecules or genetic engineering is highly relevant to many therapeutic areas including cancer immunotherapy, adoptive cell therapy, vaccine development and autoimmune disease. The development of these drugs and therapies require the routine use of assays to profile T cell function and health. In this webinar Dr. John O’Rourke, Head of Product Development, Cell Analytics, will talk about the importance of routine monitoring of T-cell function in drug discovery. 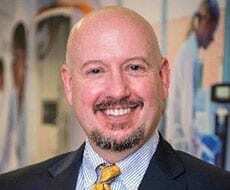 He will highlight the need for rapid immune function monitoring and how this can be addressed by simultaneously measuring cell phenotype, T cell activation markers, cell proliferation, cell viability and quantifying secreted cytokines in a miniaturized format using a T-Cell activation and cytokine profiling assay. Dr. John O’Rourke received his BS in chemistry from Northern Illinois University. He completed his PhD in Biochemistry from The Ohio State University where he studied cancer biology and gene regulation. During his postdoctoral training at Nationwide’s Children’s Research Institute in Columbus Ohio and the University of New Mexico, he continued his studies in cancer biology along with the development of viral and nanoparticle-based therapeutics. Dr. O’Rourke completed his MBA at the Andersen School of Management at the University of New Mexico and joined Intellicyt in 2017. Dr. O’Rourke is currently Assay Development Manager, R&D Apps at Intellicyt, a Sartorius Company.